Choose the Pito roof safety products when your location requires particular quality and durability. The Pito footbridges, roof bollards and machinery supports conform to all modern construction requirements and they suit all roof types. The Pito roof safety solutions from Peltitarvike are the most extensive on the market. They are designed to withstand the changeable and unsettled Finnish conditions from one year to the next. The Pito roof bollards and machinery support suit all roof types. Safety ropes, suspended scaffolding and other auxiliary equipment necessary in maintenance, refurbishment or rescue work in buildings can be easily and securely fixed to the bollards. The Pito footbridges are a modern way of moving between building roofs. The easy and safety of walking make it possible to carry out maintenance and repair works in all conditions. The Pito footbridge solutions offer users a pleasant and safe working environment. 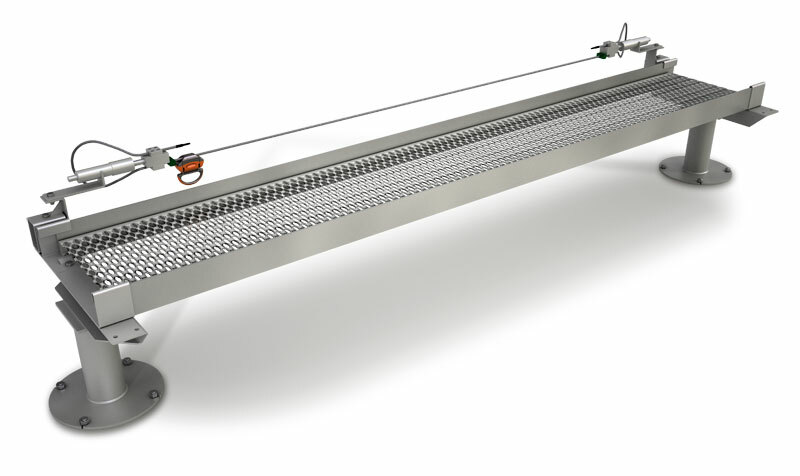 The Pito Greenline safety cable system improves roof safety further. It is installed between the Pito roof bollards, thus achieving anti-fall protection for the whole roof. The system is CE labelled and designed for four simultaneous users. The Pito roof bollards are fixation devices for all roof types. Safety ropes, suspended scaffolding and other auxiliary equipment necessary in maintenance, refurbishment or rescue work in buildings can be easily and securely fixed to the bollards. The bollards are suitable as a support for devices on the roof such as lift rooms, flagpoles and footbridges. In that case, the upper loop of the bollard is replaced with a suitable end disc. 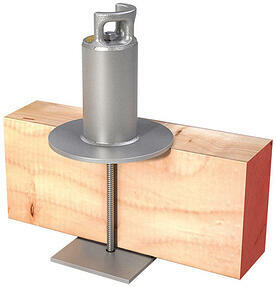 The Pito roof bollards conform to the SFS-EN 1808 standards for suspended scaffolding. Bollards are equipped with plaques showing the standard, the maximum load and the number of the manufacturing batch number. The Pito roof bollards are hot-dip galvanised and, on the inside, condensation-proofed. The bollards can also be delivered painted. The Pito footbridge is designed to be safe for users and using safety equipment is made extremely easy. Personal fall protection, which can be attached to the horizontal cables, can be used along the entire length of the footbridge. It is fast to install and walking with the protector is as fast as usual walking, which makes work flow smoothly in all conditions. Safety cables improve roof safety. When a modern security system and the market’s sturdiest footbridge solution are combined, the result is a roof on which professionals can carry out their work in all weather and conditions. 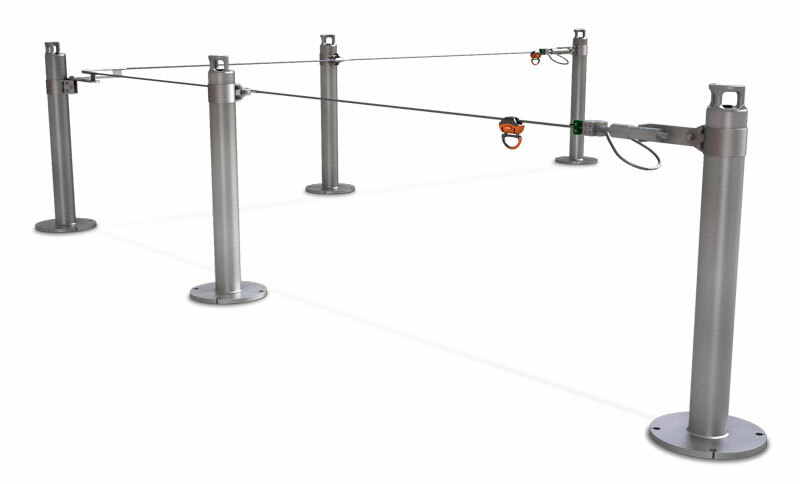 The Pito Greenline safety cable system is installed between the Pito roof bollards, thus achieving anti-fall protection for the whole roof. The system is CE labelled and designed for four simultaneous users.